These mail boxes are definite to show off your business from the elegant, smooth surface to the customized imprints on the exteriors. Each box is sturdy enough to transport your previous items safely. 4.5 X 3.5 X 1.75"
6 X 4.5 X 2"
3.5 X 2.5 X 1.25"
When sending some through U.S. Post or any other similar service, it is important to ensure that your goods will be transported successfully. It isn't even just a good idea - there are regulations that define how your packaging needs to be. These Mailing Boxes use an extra thick material that fully complies to these regulations and ensures that your goods are transported successfully. If your package had been denied by the courier because it wasn't boxed properly, these are the Mailing Boxes you need. 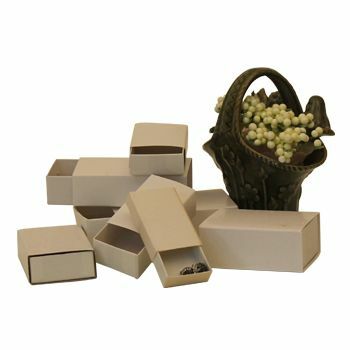 These Mailing Boxes are available in 5 different sizes to serve your needs perfectly.